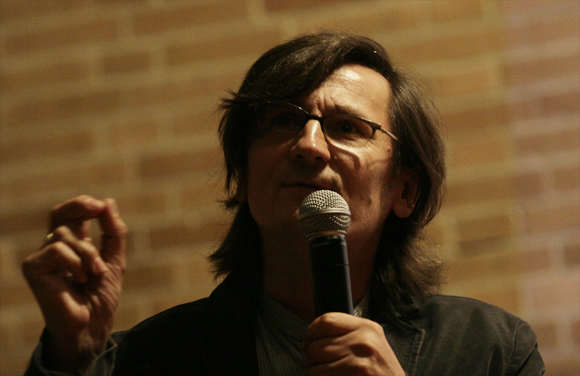 I met Peter Kulchyski, author of Aboriginal Rights are Not Human Rights, (published by ARP Books, Winnipeg, in 2013) on January 23, 2014 when he visited Wilfrid Laurier University. Kulchyski is a very interesting individual, who attended a government residential high school in Northern Manitoba in which he was one of the few non-Aboriginal students. You can find his autobiography here http://canadiandimension.com/articles/3639. 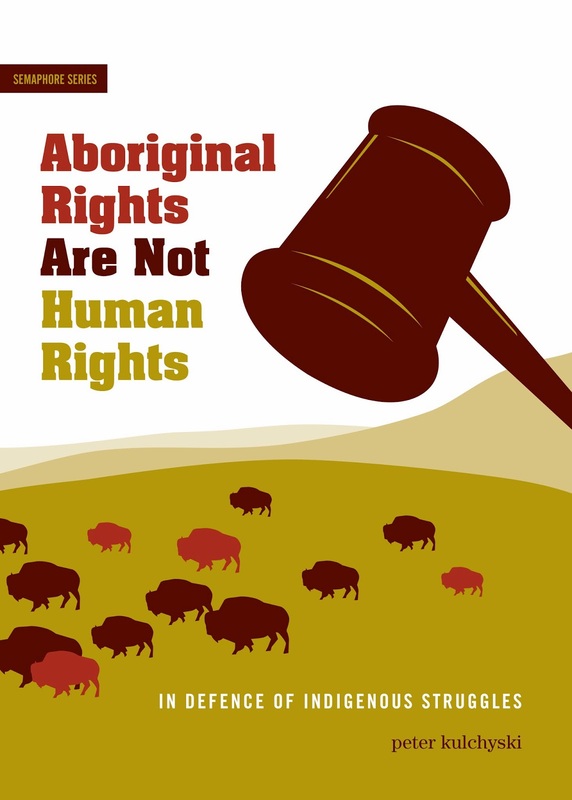 By saying Aboriginal rights are not human rights, Kulchyski means that they are a separate category of rights and ought to be recognized as such. Aboriginal rights, he says, are rooted in Aboriginal land title and Aboriginal customs, which he defines as “bush culture” as opposed to contemporary Canadian “mall culture”. Kulchyski objects to Aboriginal rights’ having been included within the international human rights framework through the 2007 United Nations Declaration on the Rights of Indigenous Peoples. He considers the UN human rights system to be Eurocentric. This is a common critique which ignores the fact that most countries have ratified the major UN human rights treaties, suggesting that at least in principle they accept human rights. Kulchyski also argues human rights are individualistic and tend to be asserted in urban environments. If this is so, it is because most people now live in urban areas. Aboriginal Canadians living off-reserve in urban areas need human rights protections even more than non-Aboriginal Canadians do. Finally, Kulchyski considers the universality of human rights to be a totalizing framework that would erase Aboriginals’ different cultures. Universalism, for him, implies assimilation. He believes the international human rights regime is a liberal project, a means to promote the interests of capital. He particularly mentions the human right to own property, but this right can be used by Aboriginal peoples, to claim their property—their lands-- by rights of possession. I looked for examples in Kulchyski’s book that would illustrate why he is worried about the totalizing, assimilative influence of human rights, but could find only three. The first was the unfortunately-named 1969 Canadian White Paper on Aboriginals, which proposed abolishing the Indian Act and integrating Aboriginal Canadians as equal individuals into mainstream Canadian life. After protests from Aboriginal leaders the federal government withdrew this proposal, which would have deprived Aboriginal people of their treaty rights. Kulchyski is correct that the White Paper was deeply assimilative. Kulchyski’s second fear was that a universal approach to human rights might mean the end of special programs like affirmative action. But special programs to remedy past inequalities are permitted by the Convention on the Elimination of Racial Discrimination, Article 4. Kulchyski’s last example is the case of a young man who was isolated from his community without food for several days as part of an initiation ritual. If this young man was under the age of 18, then leaving him in the bush was a violation of his rights under the Convention on the Rights of the Child. Kulchyski seems to think there should have been no debate about this case, as it was part of “bush culture.” My own preference would be to wait until the “young man” was over the age of 18, and could take part in this ritual on a voluntary basis. Kulchyski also objects to what he see as the state “giving” rights; in his view, rights are taken from below. He is quite right that rights require struggle from below, states do not simply grant them. But the 2007 indigenous rights declaration is a quasi-legal document, which may someday become a Convention, a treaty to be signed by states. Everyone in the world lives in a state and the purpose of human rights treaties is to encourage states to live up to their obligations. Conversely, Kulchyski dislikes what he considers the Declaration’s portrayal of Aboriginal peoples as weak victims of states. But this is true for all human rights documents; all are premised on individuals’ need for protection against the state. Kulchyski objects to the Declaration being one among many human rights documents; he wants it to be outside the human rights framework, so that the individualist nature of human rights does not undermine the collective nature of Aboriginal rights. The Declaration, however, does recognize that collective rights are necessary; that is one of its major thrusts, in several of its Articles. The Articles not specifically on indigenous rights are reaffirmations of rights that everyone (ought to) enjoy; it’s common to put these reaffirmations in human rights documents pertaining to particular groups of people. Kulchyski argues that “a human rights agenda must inevitably dismiss Aboriginal cultural distinctiveness and align …with a totalizing state” (p. 73). But there is no evidence so far that the human rights agenda has resulted in this; rather it’s been expanded to promote the cultural distinctiveness--and land rights, on which that distinctiveness is based-- that Kulchyski prizes. Evidence of this is in the 1982 Canadian Charter of Rights and Freedoms, which Kulchyski thinks is a better document than the UN Declaration. The Canadian Charter includes a clause limiting the application of human rights so as not to undermine Aboriginal (collective) rights. Finally, Kulchyski notes that the UN Declaration does not confer sovereignty on indigenous peoples. He is correct: the UN is a collection of member states, and no UN document will allow secession by any group from the authority of the state. The most that Aboriginal collectivities are likely to obtain by way of “sovereignty” is political arrangements analogous to municipal or provincial style authority, and there will continue to be quarrels over “national” resources such as subterranean and ocean resources in Canada’s north. The 2007 Declaration is one small step toward protecting the rights of Aboriginal peoples. It isn’t totalizing, it isn’t Eurocentric, and it isn’t individualist. It takes a significant step back from the liberal project of undermining non-capitalist collectivities. But it is also not enough.